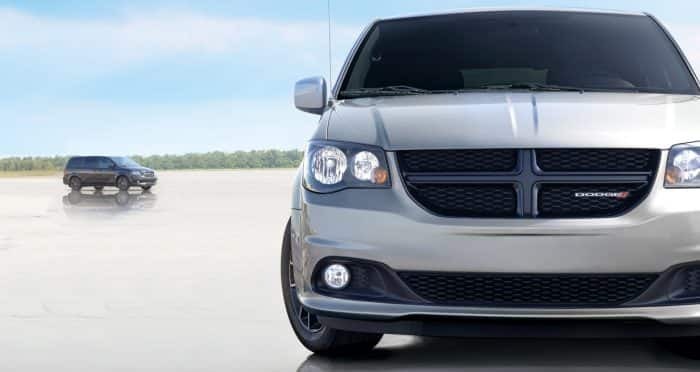 Dodge continues to build its ever favorite and budget-friendly Grand Caravan, delivering exceptional comfort, V6 power, and respectable fuel efficiency. The 2019 Grand Caravan's thirty-five year lifetime has tended to many families across North America, introducing nearly eighty segment-firsts in the minivan class to headway innovation and technology upgrades throughout the segment. Functional and enjoyable, the Grand Caravan will serve your family well. How does the 2019 Grand Caravan perform? The capable Pentastar engine is outfitted to every Grand Caravan, the award winning 3.6L V6 powertrain delivering on 260 lb-ft of torque and 283 horsepower that won't make the Grand Caravan feel as though it lags on the highway. It's also able to tow a respectable 3,600 pounds behind, making for a well endowed hauler as well. This engine generates 25 miles per gallon, too. The six-speed automatic transmission lends to smooth acceleration, keeping the vehicle steady and traction firm throughout its gears. Throughout its speeds, stability and traction controls monitor the Grand Caravan's driving to keep your route sure and straight, expertly preventing wheel slippage despite tight turns or sudden emergency course corrections. What features are available through the Grand Caravan's trims? The three trims of the 2019 Grand Caravan provide affordability and a well balanced amount of features that tend to passenger comfort, from the basic SE to the top line SXT. While the SE provides the austere with manual-adjust cloth seats and urethane steering wheel, it does include perks such as three-zone climate control, auto-dimming rearview mirror, and standard rearview camera. The 6.5-inch radio touchscreen includes Bluetooth with voice recognition, too! Features get upgraded within the midtier SE Plus, including more aggressive styling thanks to a Blacktop Package darkened detail aesthetic. Power operated tailgate and doors, automatic headlights, and power-adjustable seats enhance the SE Plus, while packages include available navigation, leather seating, and heated seats. For further entertainment, the vehicle can be outfitted with a DVD system and ceiling screen for the second- and third-rows. All trims are outfitted with Dodge's Stow 'n Go technology, which allows for the second- and third-rows to be folded flatly into the floor. What standard safety systems come in the Grand Caravan? All passengers are well protected thanks to the Grand Caravan's 55-plus safety features. Dodge's three point LATCH system is designed to accommodate infant or booster seats for children throughout its second- and third-row seating, and engaged safety locks for the second-row sliding doors prevents children from opening doors from the inside. All models include a rear facing camera displayed via the radio touchscreen, including dynamic guidelines that bend depending on your reverse trajectory. Stability and traction are constantly monitored thanks to electronic systems, automatically applying brakes during moments where wheel slippage is detected so as to prevent loss of control. Necessity is the name of the game when it comes to the Grand Caravan, providing more quality than quantity in its systems. Everything are features you'll use every day during your driving, from great entertainment to one of a kind performance and power. The 2019 Grand Caravan is ready to tend to the family with tried and true systems and a great price that's growing rare in the segment.